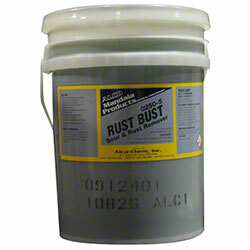 Alco Rust Bust - Alco-Chem, Inc.
​​A laundry neutralizer that removes alkaline residue to prevent skin irritations. It also eliminates iron and hard water minerals in the rinse cycle to prevent graying and yellowing. • Neutralizes detergent alkalinity to prevent skin irritations.